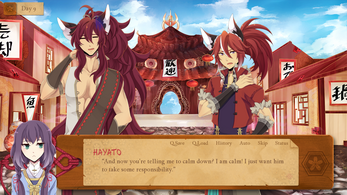 Spirit Parade is a commercial otome game with Asian mythological themes currently in development by Lettuce Waltz, aka artists Rins and Akane, and writer/programmer Lore. 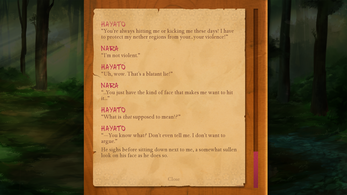 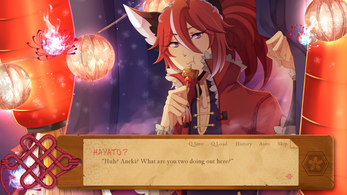 This page is for the Hayato Route standalone version of the game, which is purely made up of Spirit Parade's common route + Hayato's route. 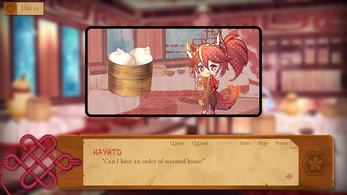 Please note: if you have already purchased the full version of the game, it already comes with all of the routes. 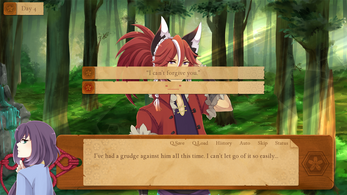 You do not need to purchase the base game and each route individually to receive the full experience. 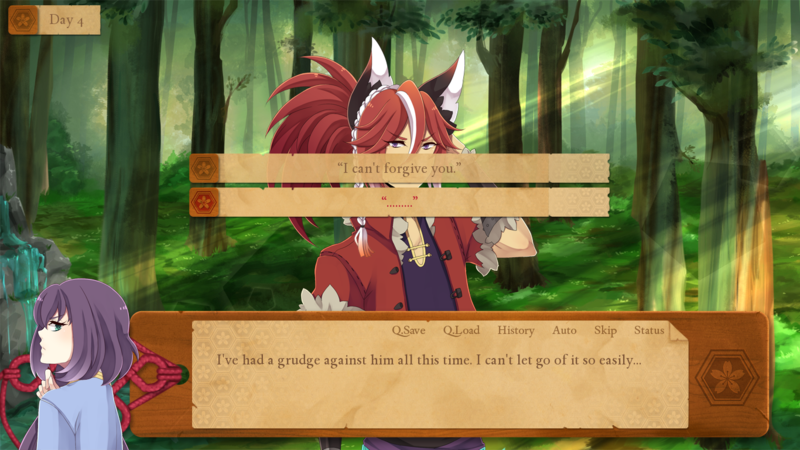 For more information on Spirit Parade, please visit the full game page. 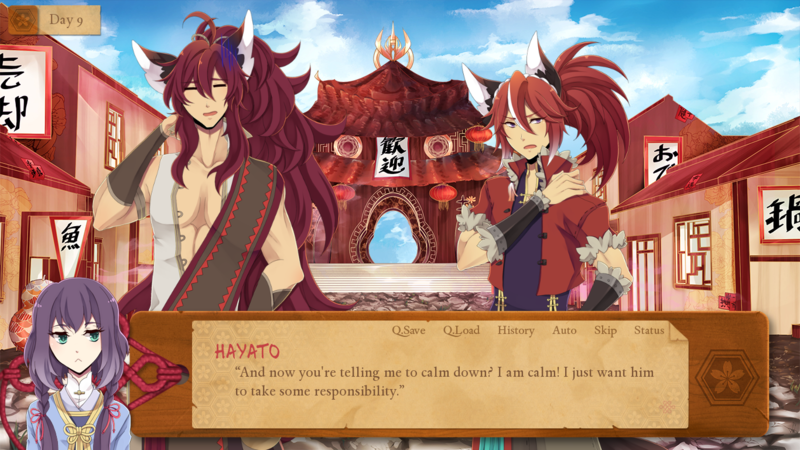 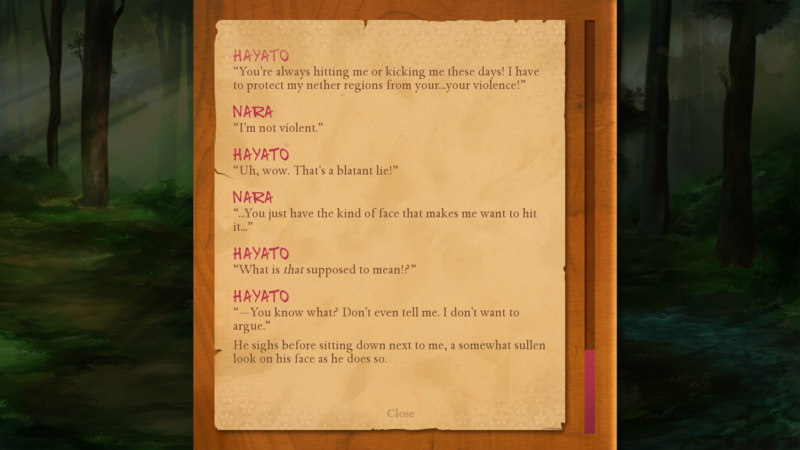 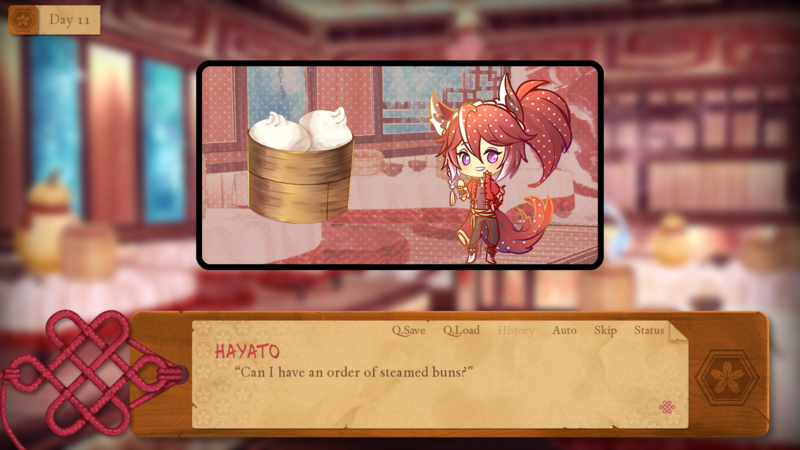 Hayato's Route was released on October 5th, 2017, and is complete as far as writing and art go, but may be updated in the future to fix bugs and/or add in voice acting.